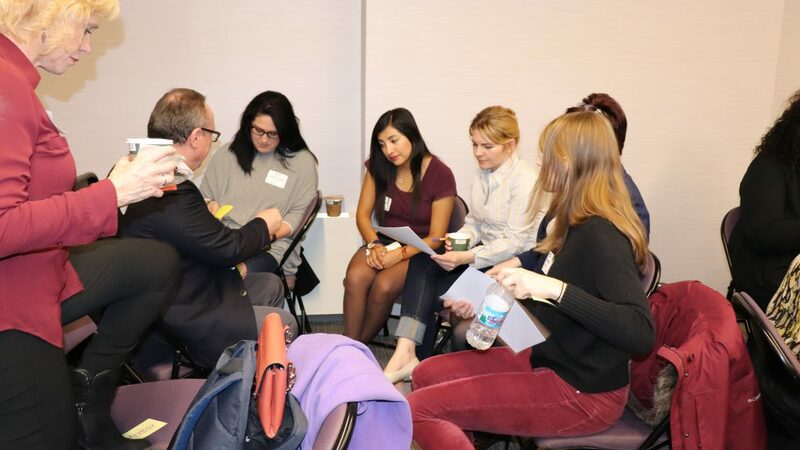 Two weeks ago, the Conference Allyship program of Women in Agile partnered with a new conference for a new event format and new topic. The result was BAI Presents: Women in Agile (sponsored by Accenture | Solutions IQ). 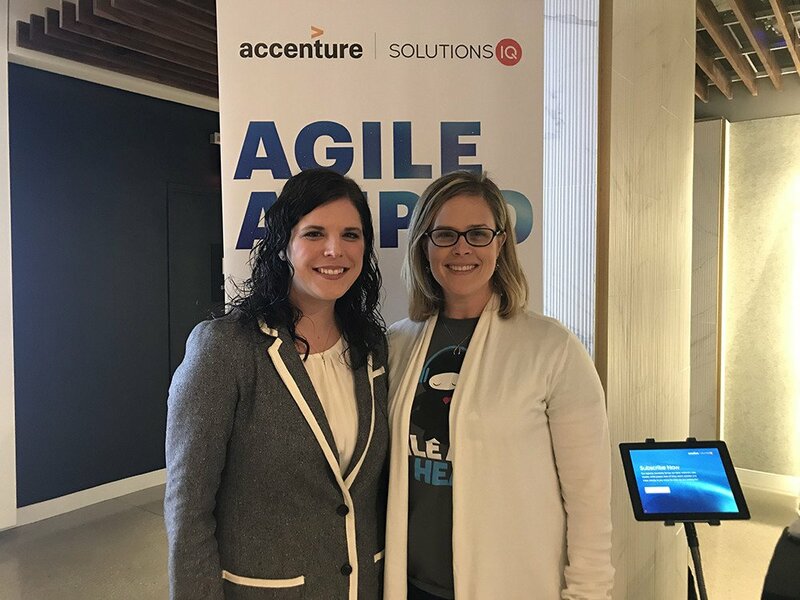 Our inaugural partnership with both Accenture | Solutions IQ and the Business Agility Institute was a great success. If you missed it, here’s the recap. The event was held in New York City and was kicked off with a social hour and networking leading up to a fantastic keynote. 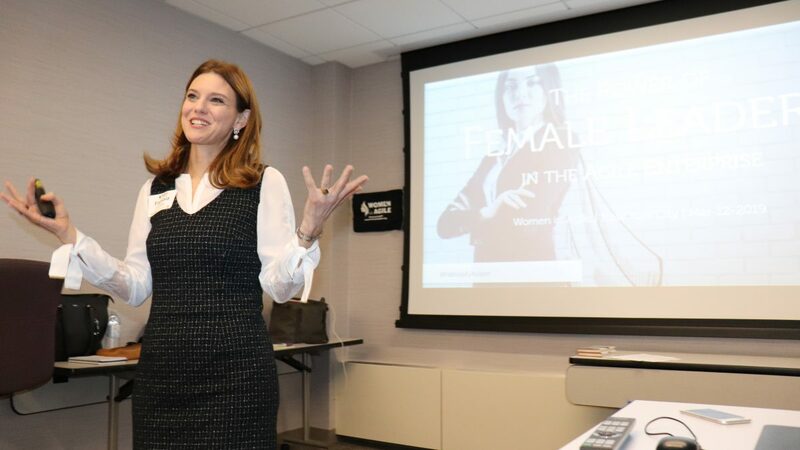 Fabiola Eyholzer, CEO of Just Leading Solutions and Agile HR expert, keynoted for an audience of 80 people discussing diversity of thought and its importance in the workplace in The Power of Female Leaders in the Agile Enterprise. She highlighted some key problems to not having a diverse workplace and expressed greater overall diversity (not only gender) as a vital marker of successful organizations. Finally we ended the evening with a high stakes game of group Rock-Paper-Scissors with books for the winners. We hope to see you next year and at any of our other Conference Allyship / WiA Flagship Events. We look forward to continue helping grow this outstanding community through events like this in the future! Listen to Leslie Morse @lesliejdotnet and Natalie Warnert @nataliewarnert as they reminisce about how Women in Agile started for them back in 2013 and how it has grown and changed with the agile community over the past five years.